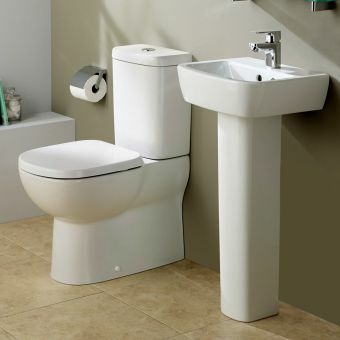 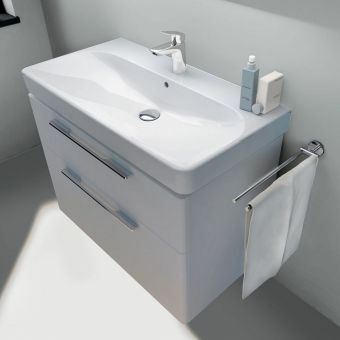 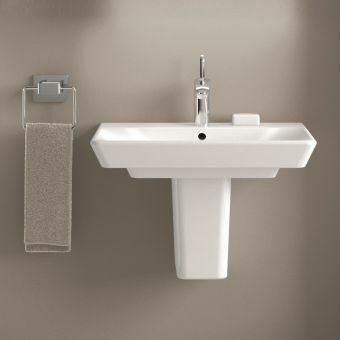 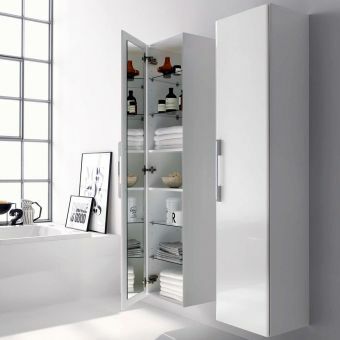 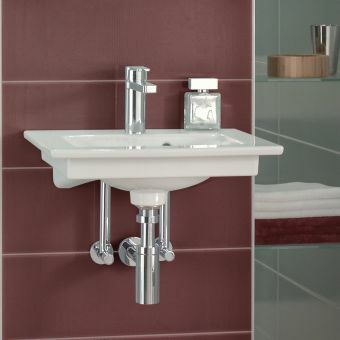 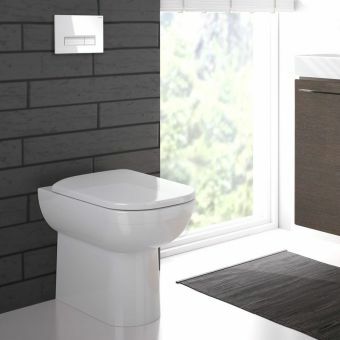 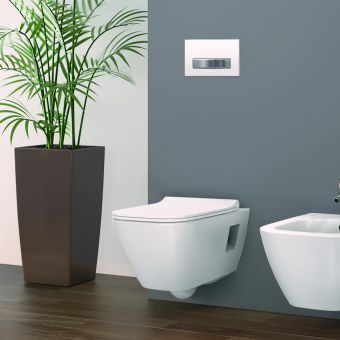 Sleek, stylish and utterly captivating, the Geberit Smyle washbasin range positively screams modernity. 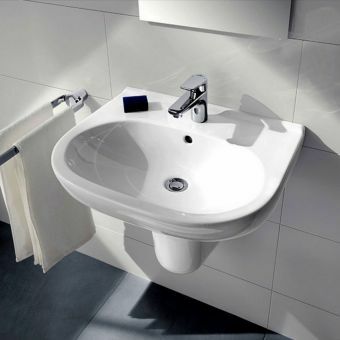 The pure white basin sits in perfect juxtaposition with the gleaming silver of the tap and waste systems. 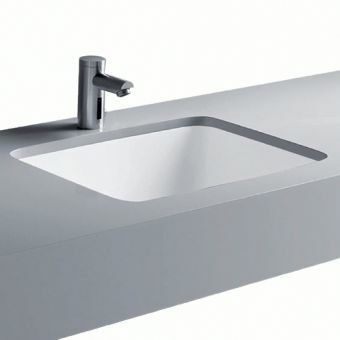 The simple mixer, one tap column design is mirrored below the sink by the ultra-modern drainage system giving a sense of balance. 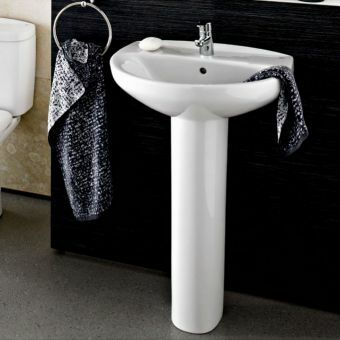 The Smyle washbasin design range amazingly combines sharp, straight lines and gorgeous swooping curves to give an unconventional styling that will entertain rather than challenge. 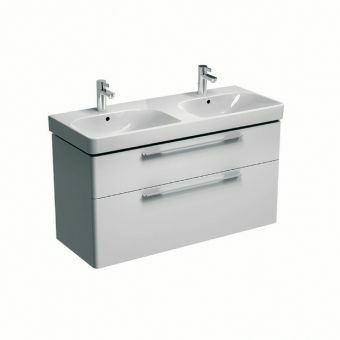 This washbasin range comes in four sizes. 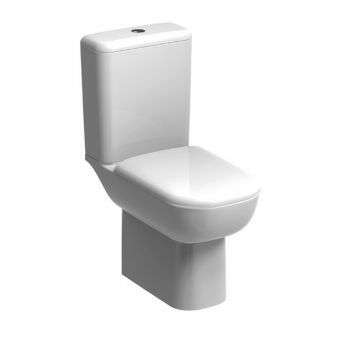 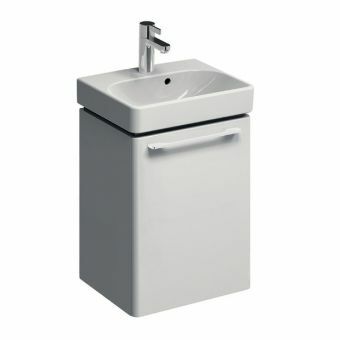 The whole range is 16.5cm high and 48cm deep with a centre tap hole and overflow. 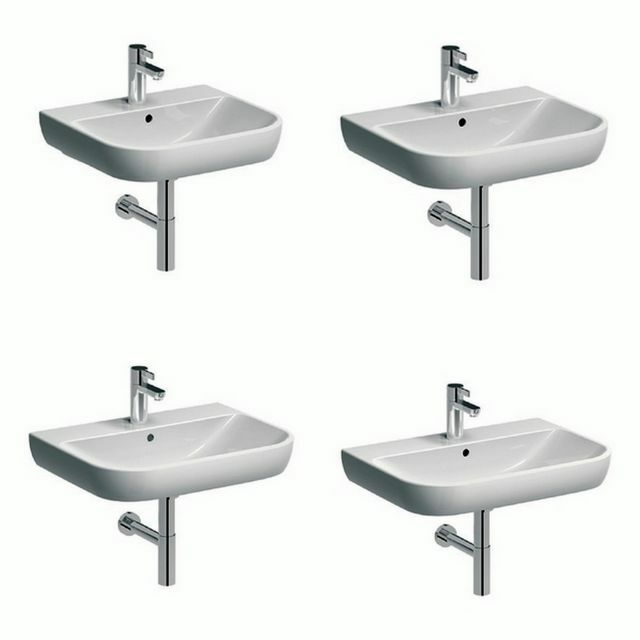 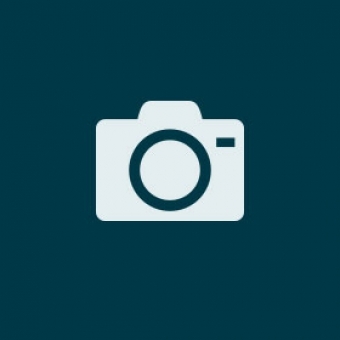 While these dimensions remain the same, the width comes in 55, 60, 65 or 70cm. 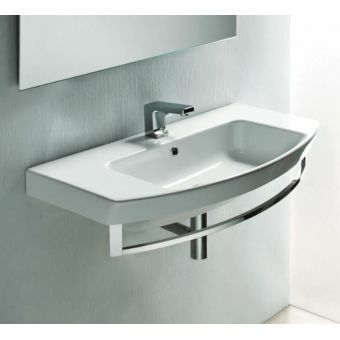 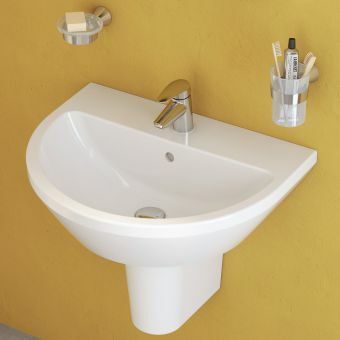 Your choice of washbasin width will not just be driven by the room available to you, but instead by the subtle changes in appearance that these small differences bring.